Monday 21st January 2019 7pm for 7.30pm start. Give us a try! We will be pleased to see you. 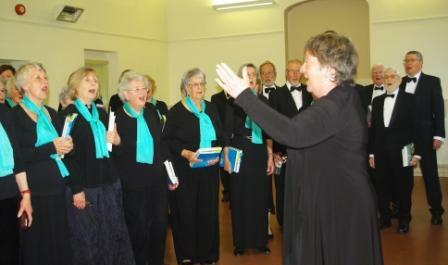 Sturminster Choral Society will once again be performing choral classics at St Mary’s Church, Sturminster Newton. The forthcoming concert will be on Saturday 11th May at 7.30 pm, conducted by Annemarie Lees with organist Sam Hanson and pianist Elaine Korman. The programme will begin with Palestrina’s beautiful and spellbinding Stabat Mater, composed during the late 16th century for double chorus. The choir will also perform Haydn’s Nelson Mass, one of 14 masses written by Haydn and possibly his greatest single composition. They will be joined by soprano Camilla Foster Mitchell, alto Charlotte Collier, tenor Kieran White and bass Benjamin Hewat-Craw. Tickets £10 in advance from Candy’s (Sturminster Newton) or on the door. Children 15 and under free. 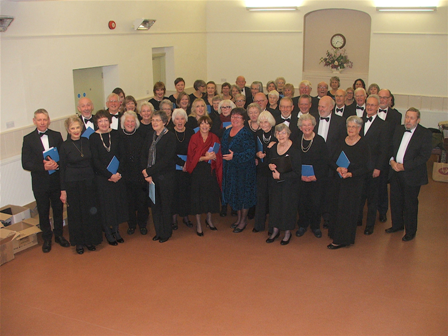 Welcome to Sturminster Choral Society. We would love you to join us, or to come and enjoy our music at forthcoming concerts.